Here are some faces of history in Franklin County. We would like to addyour faces of history. Send your pictures to be added to this page!!! To submit your pictures, e-mail them to Karen Creamer to be included. Click on the thumbnailpictures below to see the larger version. Page will load slowly--remember good things come to those who wait!! 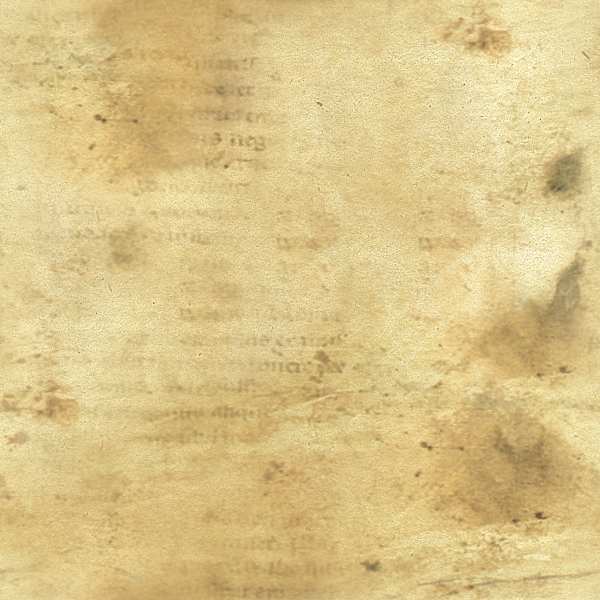 Information on this webpage is supplied by the individual contributors and is NOTverified. An e-mail link has been provided when available to make direct contact. Patricia Brown Milton Warner Despite the birth date written on the photo, it is more likely Milton Warner was born in Blooming Grove in 1841 as he is listed as 9 years old in the 1850 census. He is the youngest of eight sons of Anderson Warner (born abt. 1795 in Rowan Co, NC, died 7/22/1845 in Franklin Co, IN, buried Metamora cemetery) and Mary Jane Crockett (born abt 1805 in NC, died 5/13/1891 in Laurel Twp, Franklin Co, IN, buried in Duck Creek Stone Church cemetery).Milton Warner served in the 13th Regiment, Indiana Infantry. On1/26/1871 in Franklin Co. he married Rachel Ann Stant, the widow of Alexander Hill and the mother of a young daughter and son. She was born abt. 1843 in Blooming Grove and her family is listed near his in the 1850 census. Milton helped raise Rachel's two children, and they had at least eight of their own, two of whom died young. 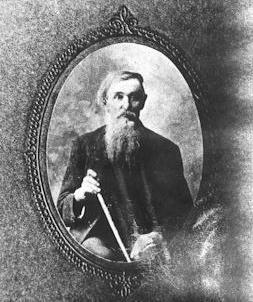 Milton died 3/24/1914 in Laurel, and is buried in the Duck Creek Stone Church cemetery. 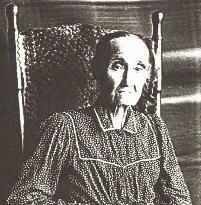 Rachel died 2/23/1934 and is buried near Milton.Milton Warner is also the uncle of Charles Ross Pierce, whose photo is on the Franklin Co. Faces of History page. 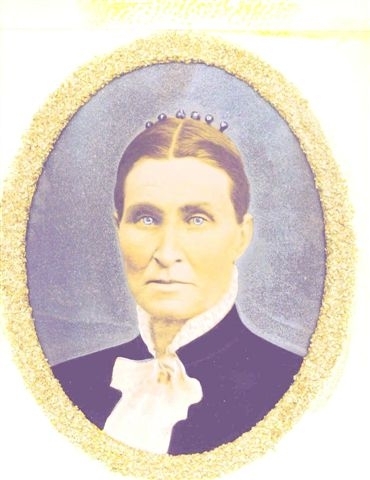 Mary Jane Warner, the youngest of the at least ten children of Anderson Warner and Mary Jane Crockett Warner, was born 5/1842 in Blooming Grove. 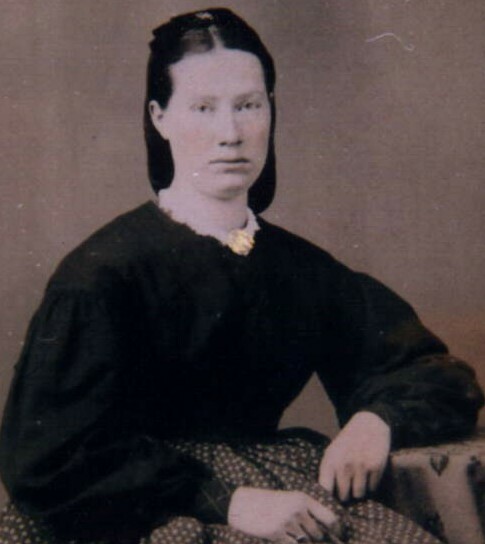 She married Converse Bacon Pierce on 1/13/1858 in Franklin Co. Converse was born7/7/1837 in Blooming Grove. 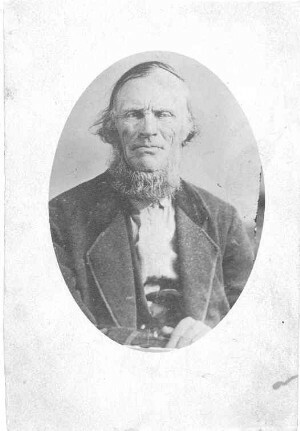 They had at least nine children, and Charles Ross Pierce was their youngest. Converse B. Pierce died12/3/1886 in Vigo, Knox Co, IN and Mary Jane Warner Pierce died 7/9/1911 in Indianapolis. 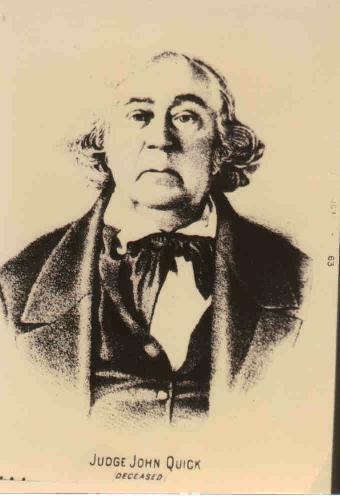 They are buried in Sandborn cemetery in Knox Co.
jpcc5th@iowatelecom.net Joseph Drybread Milholland born Dec 4 , 1819 in Franklin , In. 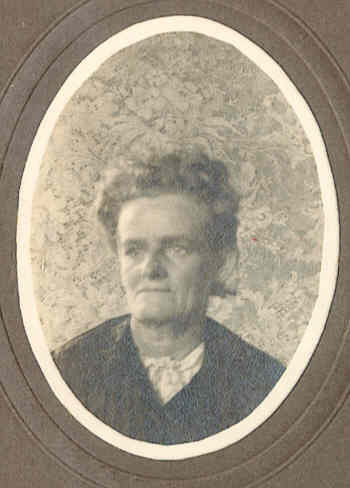 On Dec 25 , 1850 hewas married to Henrietta Randall in Butler County , Ohio. In 1856 theymoved to a farm in Vienna Township , Marshall County , Iowa. The housethey built is the same one I live in now. I am the fifth generationto live here. 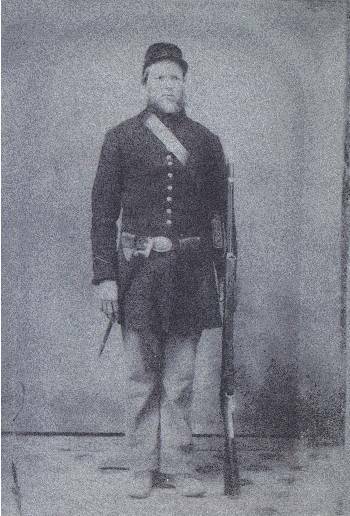 dfsherwood@aol.com Jonathan Holt Foster Served in the Civil War driving a team of mules. Photo courtesy of Susan Lee May Ella Herbert b. 28 Dec 1862 Indiana d. 12 Jul 1949 San Fernando, California. Thispicture was taken in 1914. 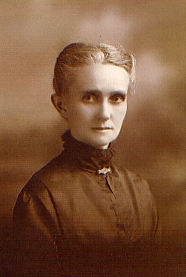 She married 2 Apr 1884 Charles Dwight Lyman.May Ella Herbert's parents were Samuel Herbert b. Abt 1806 Pennsylvaniad. 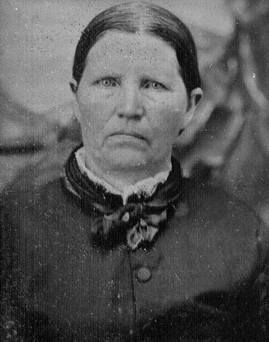 Abt 1862/1865 Indiana and Delilah Matilda Snodgrass b. 20 Dec 1827 RushCo., Indiana d. 31 Jul 1895 Logan, Iowa. They married 1 Jan 1846 in LaPorte,Indiana. 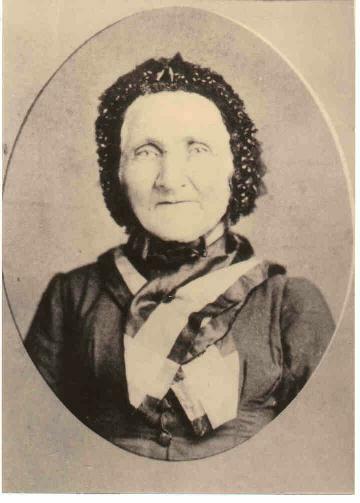 Sally Jane Moore Susan (Butler) Brown Born April 12, 1816 in Franklin County, Indiana. She is daughter ofWilliam Butler and Nancy Henshaw of VA via PA to Franklin County. She marriedVolney Jackson Brown in Hendricks County, Indiana and died Feb 4, 1892in Hendricks County, IN. Photo courtesy of Lois Lynn Mary Dunn Murphy This picture was taken in Dec, 1920 when she was 93. 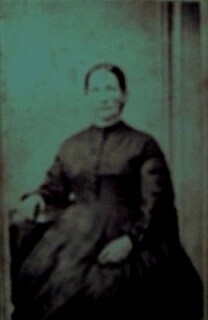 Mary Dunn Murphywas married to James Murphy and was married on July 10, 1845. 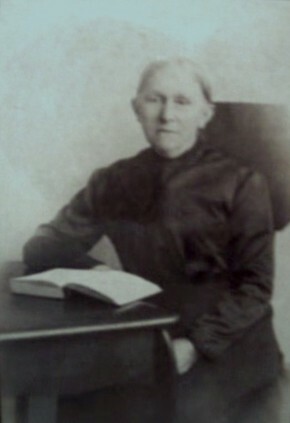 Photo courtesy of Bonnie Bath Marks Gottfried Bath b. June 11, 1840, Franklin Co. He was the son of John Bath & ElizabethMuller.In 1862, Gottfried married AGATHA Elizabeth MESSERSCHMIDT. 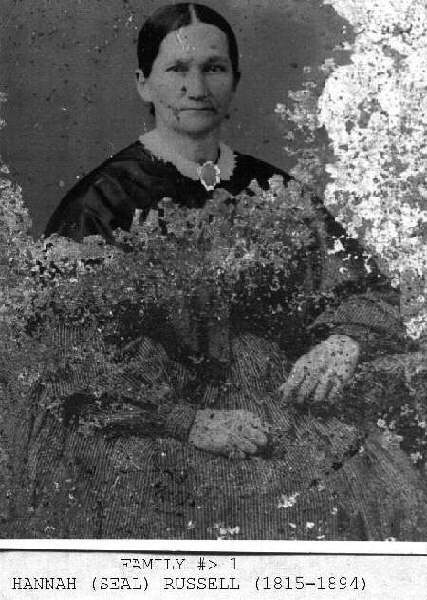 Photo courtesy of Bonnie Bath Marks Agatha Elisabeth Messerschmidt Bath b. Oct. 12, 1844, Brookville, Franklin Co., d. Mar. 9, 1943, Seattle,King Co., Washingtondaughter of Gustus & Elisabeth Siebenhaar Messerschmidt,who arrived to the U.S. in 1837. Elisabeth married Gottfried Bath, sonof John & Elisabeth Muller Bath, of Highland Twp. Photo courtesy of Bonnie Bath Marks Gottfried's sister Daughter of John and Elisabeth Muller Bath. D.J. Sinnwell-Garner, Iowa Mary Eads Quick Mary Eads was born Dec. 12, 1783 in Kent Co, Maryland, the daughterof Henry Eads and Sarah Elizabeth Sailors. Mary died May 15, 1849 in FranklinCo, Indiana. On May 7, 1801, she married John Quick in Harrison Co, Kentucky. Karen T. Herman Voskoetter Herman Voskoetter lived in Franklin County at least up to the 1890's.He was born 17 June 1830 in Schirl, Ostbevern, Westphalia, Germany. Hearrived in the US 27 June 1854 at New York on the ship "Wilhelmine" sailingfrom Bremen. 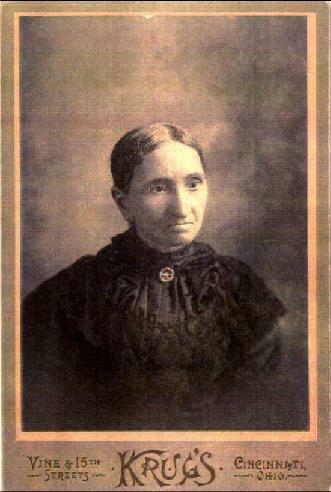 He married Elisabeth Meyer 18 May 1858 at St. Joseph's CatholicChurch, Cincinnati, OH. They had ten children Anna, Elisabeth, Henry J.,Marie Catharine, Bernard Joseph, Georg Herman, Theresa, Barbara, John andKatherine. Marie Catherine, Georg Herman and John died in early childhood.Herman Voskoetter died in Cincinnati, OH, on 3 November 1909. 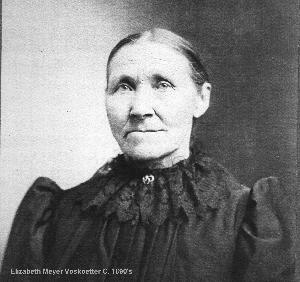 Karen T. Elizabeth Meyer Voskoetter Elisabeth Meyer Voskoetter was born 25 Dec 1835 in Oldenburg, Germany.She married Herman Voskoetter 18 May 1858 at St. Joseph's Catholic Church,Cincinnati, OH. She died 17 April 1912, in Cincinnati, OH. 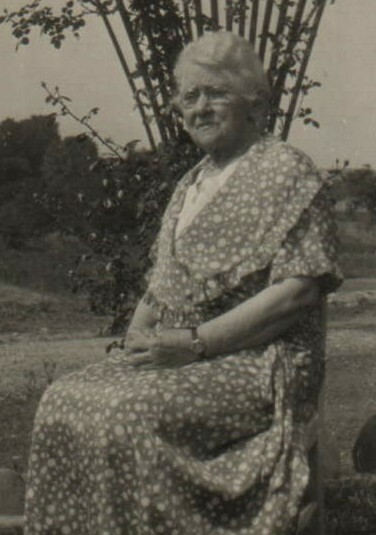 She was alsoknown as Lizetta Meyer Voskoetter. 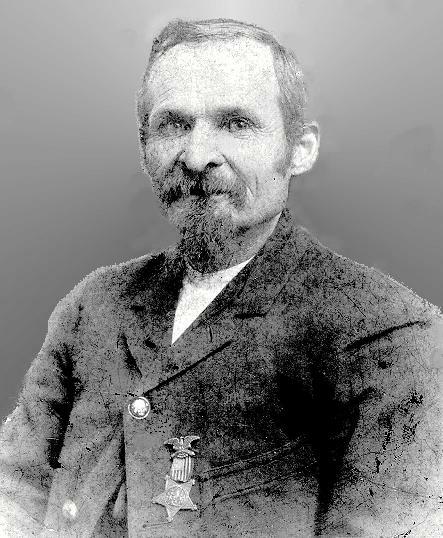 Photo courtesy of Robert R. Zins- Newport News, VA Jakob Zins Jakob Zins was born on 8 December 1844 in Bining, Lorraine, France.About 1850 his parents, Adam Zins and Magdalena Wagner, immigrated to theUnited States and settled in St. Mary's, Indiana, along with their threesons. 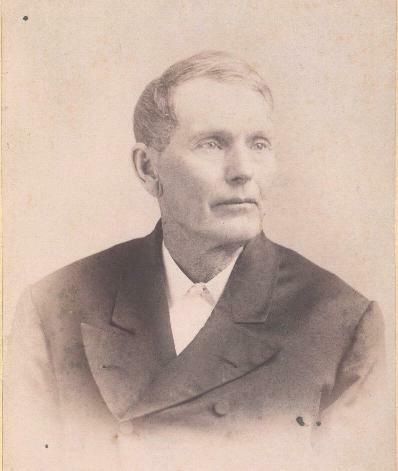 He was married to Caroline Altherr on 29 April 1869 in the St. Mary's-of-the-Rock Church, and to Mary Elizabeth Weber on 12 June 1883 in St. PhilomenaChurch (now called St. Cecilia of Rome), in Oak Forest, Indiana. 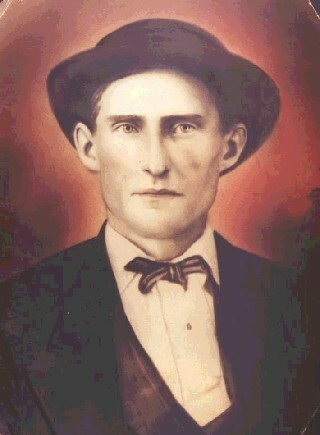 Jakobdied on 7 July 1893 in St. Mary's, Indiana. D. DarlenePalmer [Naomi] Catherine DeMOSS [Naomi] Catherine DeMOSS was b. 23 June in Highland Co., OH to Johnand Elizabeth (LUKE) DeMOSS of Scott Co., KY. She moved with her parentsca. 1824 to Fayette Co., IN. 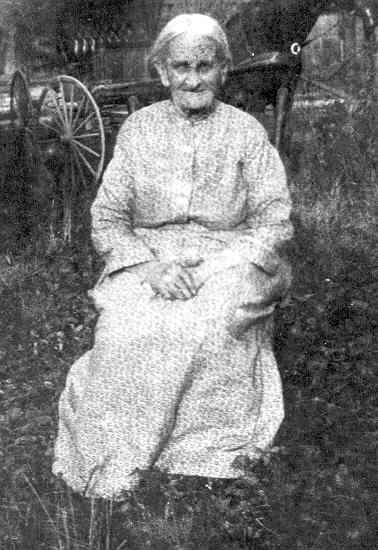 On 10 Dec. 1837 Catherine m. Isaac BUCKLEYin Franklin Co., setting in Fairfield Twp; they had 11 children. Catherine(DeMOSS) BUCKLEY d. 24 Feb 1916 and was buried in the old Simms Cemetery. D. Darlene Palmer Isaac Buckley Isaac BUCKLEY/BULKLEY was b. 8 May 1807 in Fairfield, Conn. to Isaacand Abigail (TURNEY) BULKELEY. 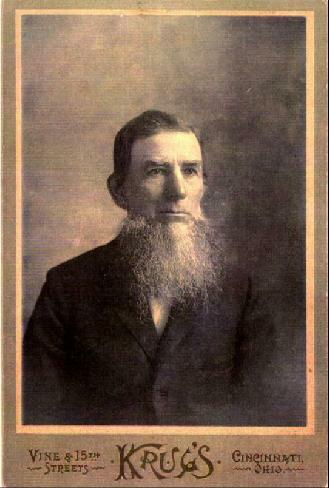 In 1816 he came to Franklin Co. with hisparents, settling in Fairfield Twp. 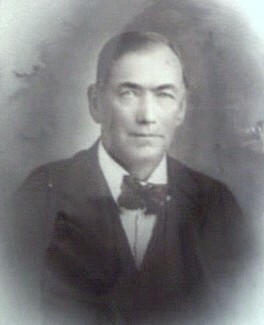 He m. Catherine DeMOSS on 10 Dec. 1837in Franklin Co. and they had 11 children. Isaac d. 15 Feb 1888 and wasburied in the old Simms Cemetery. 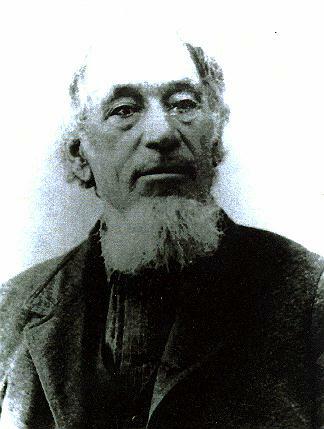 Photo courtesy of David J. Endres, Fairfield,Ohio Alois Bauer Born June 15, 1820 in Bavaria and immigrated with his parents and sevensiblings in 1833. The family settled in Highland Township in October, 1833and was one of the founders of St. Peter's, Indiana. He married Mary TheresaMueller on February 24, 1846 in St. Peter's. Dean P. Jamison, Centerville,Utah Eunice Maple Lyons Born: 1825 near Laurel in Franklin County, Indiana, She was the daughterof John Maple, who moved to Franklin County in March of 1811. 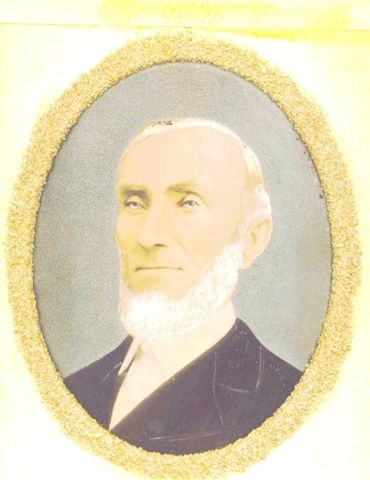 John, withhis father Benjamin Maple and his brothers Stephen and William were amoungthe first settlers in the Laurel area. 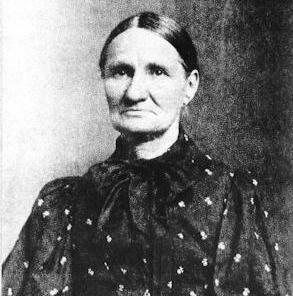 Eunice Maple married George Lyonsof Lyons Station, Fayette County, Indiana on 18 Nov 1847 in Franklin County.They later moved to Howard County. 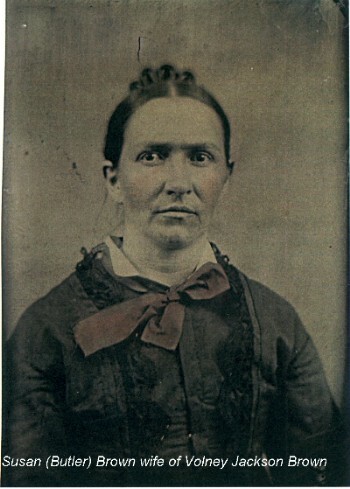 Married Stephen Craig April, 1837 in Franklin County, Indiana.